I’m not talking numbers on a scale, I’m talking real heaviness. The kind that you can feel in your heart, the one that doesn’t actually weigh anything in pounds, but weighs on every part of your life. The one, that feels too deep, thinks too much. The one you wish you sometimes didn’t have so you could not give a crap. Yep, that one. As I continue to grow up as a person, I can’t help but feel the growth of the woman inside me. I think back. She was a girl, so free, intuitive and cuddly. She evolved to be young woman, one that was oh too curious, super self-aware, and a little bit cautious. Then come the transition years. She then fell in love, while figuring out her future, and making sure she could always stand on her own two feet. She doesn’t know when the woman in her came to be, probably because she was too busy doing all that women do. See this is when things got a little blurry, or, a little heavy. As I loved all those in my life with my full heart, I also worked hard to make me ‘somebody’, fought through endometriosis and infertility, while decorating my new home, and every other task I could get my hands on. It doesn’t stop. I raised 3 kids, tried to climb the ladder, cared for parents, got involved in my community, went back to school, and grew a garden. It was hectic and at many times full of guilt. I made it stop. Not sure exactly when, but a few years back. I paused, just long enough to appreciate the woman I have become and also the woman of my dreams. What I realized is that I am lucky. I am a woman with a heart that cares, a lot, about a lot. In there, I also found that the girl, who was free and cuddly is also waiting to be cared for. In that moment, I knew myself once again, at my core and I love myself. Sometimes I do think “why can’t I just not care sometimes?” I try it, and for a little while it works, and I get the break I need. But then, I realize, this is me and it’s exactly why I am so awesome. Because I have a heart that is so crazily wired, it’s connected to everything. The amazing thing is that when I appreciated this heart’s love, connections and weight. I see these wires and energy as empowering connections and growth. I realized this is exactly what is going to lift me up to be the woman of my dreams and the girl I always have been. And while I am at it, I can help those around me rise too. This goes for all woman I believe. We put our heart into every thought and action, and it’s exactly why the world needs women to continue to rise up. When we rise up, the weight is a power, a power of love, positivity and connection. Happy International Women’s Day. I feel the rising of a absolutely amazing energy and am grateful to be a part of this. 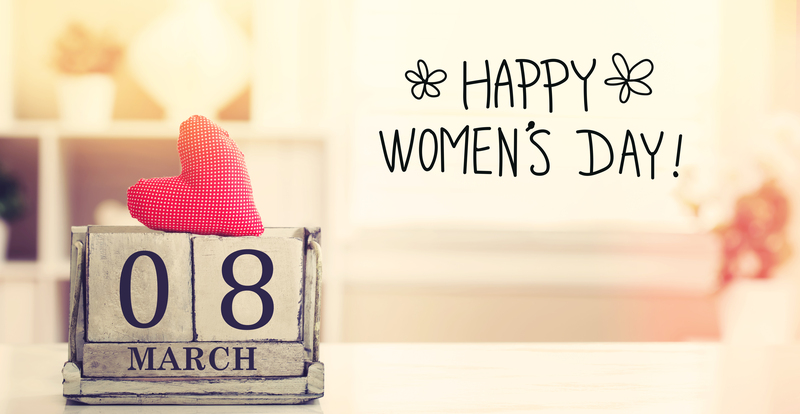 I wish all women take the time to pause, know themselves, appreciate and love themselves today. Empower your girl and woman of your dreams.